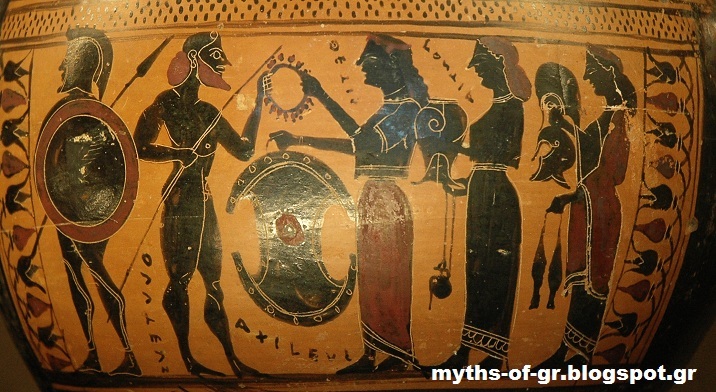 Trojan War | Learn about Greek Mythology,Greek gods,Greek mythology stories! The Trojan War in Greek mythology was a decade warfare, the Greeks (Achaeans or Argives or Danaans by Homer) with the Trojans under the walls of Troy. The main cause of the war was the abduction of Helen, wife of the king of Sparta, Menelaus from the Trojan prince Paris. This war is one of the main events in Greek mythology and was a source of inexhaustible inspiration in ancient Greek literature, including the works of Homer: the Iliad, which recounts a period of the last year of the war and the Odyssey, which recounts the journey back to his homeland of Odysseus, one of the Achaean leaders. Other facts about the Trojan War described in the Trojan epic cycle from which they were rescued only snippets. Events of the war also inspired the ancient Greek tragedy, Latin literature and many newer works of literature, visual arts and music. The causes of war are reduced to divine conflict between Athena, Hera and Aphrodite, which caused Eris by giving them a golden apple with the display "to the most beautiful" . 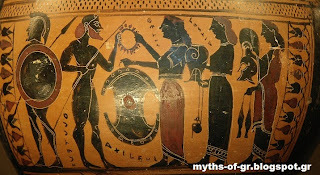 Zeus wanting to give solution to the dispute over who deserves the apple, did not refer to the Trojan prince Paris who selected Aphrodite. As a reward for his judgment , Aphrodite rewarded him by making Helen the most beautiful mortal woman fall in love with him and follow him to Troy. Immediately after the abduction , Agamemnon , king of Mycenae and the brother of Helen's husband , Menelaus , led a generalized campaign of the Greeks and besieged Troy for ten years. After the deaths of many heroes, like Achilles and Ajax of Telamon and the Trojans Hector and Paris , the city was captured thanks to the ruse of the Trojan Horse . The occupation of the city by the Achaeans accompanied by slaughter and complete the destruction and desecration of the holy . This action provoked the wrath of the gods , who avenged many of the survivors Achaean kings . Very few of them were able to continue peaceful life in their home . The Romans believed that the Trojan hero Aeneas after the fall of the city fled to Lazio in the Italian peninsula and that he is considered as their ancestor . The ancient Greeks believed that the Trojan War (like most events of mythology) was a historic event that took place in the 13th or 12th century BC and that Troy is located on the Asian side of the Hellespont (Dardanelles). Once in 1870, the German archaeologist Heinrich Schliemann after excavations discovered until then, completely mythical Troy. Today the entire archaeological community agrees that indeed this particular location is Troy, and that certainly is one historic core,about the war. The question now is whether some particular facts and persons recounted was real or just fabrications. Researchers have argued that the date given by the ancient historian Eratosthenes: 1194-1184 BC, is the most representative, and agrees with archaeological evidence suggesting that in the city then broke disastrous fire and specifically in the layer of VIIa Troy.